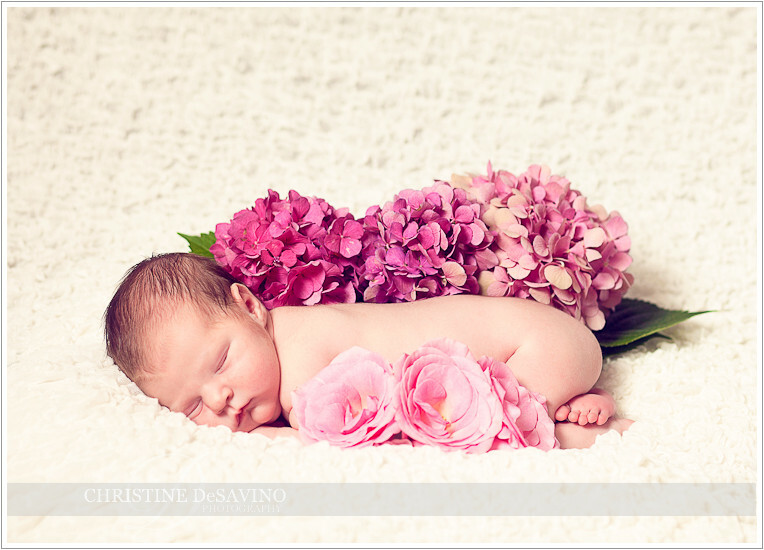 What’s Blooming this Spring?…a “Little Bit Older” Mini-Session! 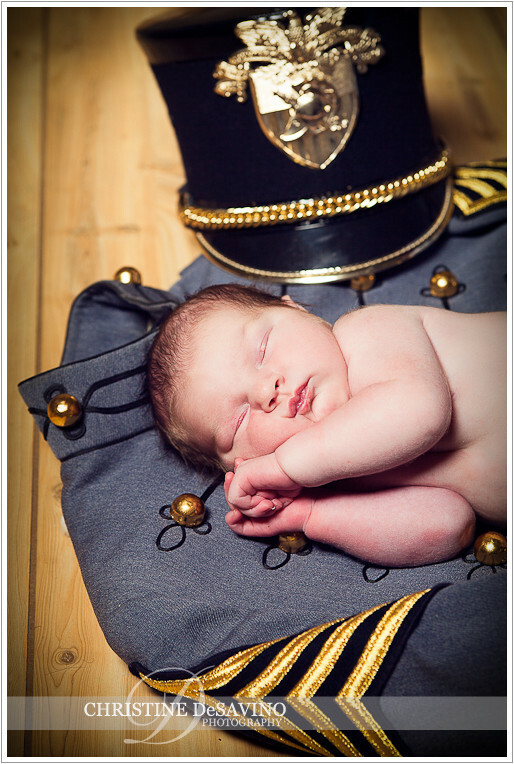 This session is specifically created for those parents who just can’t let a growth spurt slip by without capturing it. Here’s how it works, after you have completed one full portrait session, you are eligible to add-on a special mini-session anytime within one calendar year. 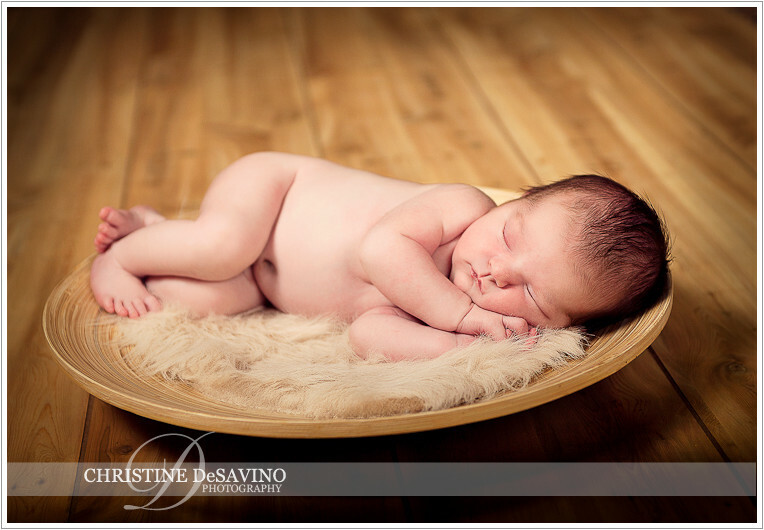 This “Little-Bit-Older” session will include 10-15 images in a password protected gallery and will cost just $175. For full details just contact me. And keep checking back as new buds will be bursting all summer long here at our studio! 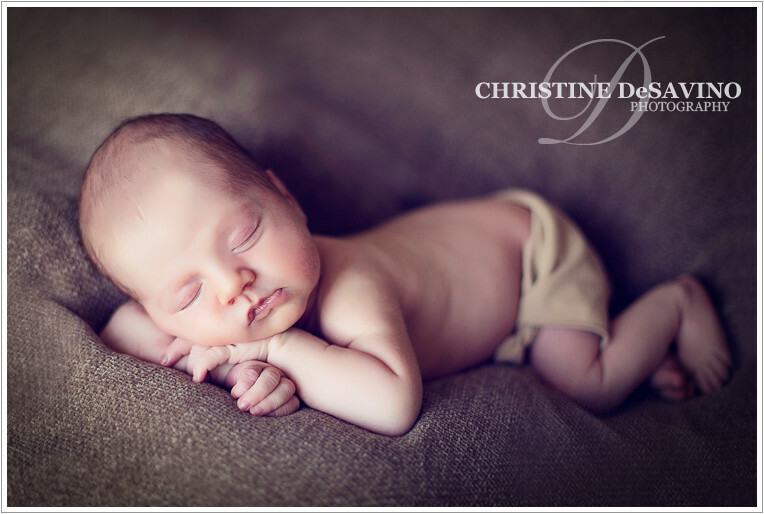 Look how peacefully this little newborn girl is sleeping. You would never guess that her dad lulled her into this slumber by cranking up a Pandora rock station. That’s right, he said she liked rock music and cued up a station that played Led Zeppelin, The Rolling Stones and The Police to send her into la-la land. 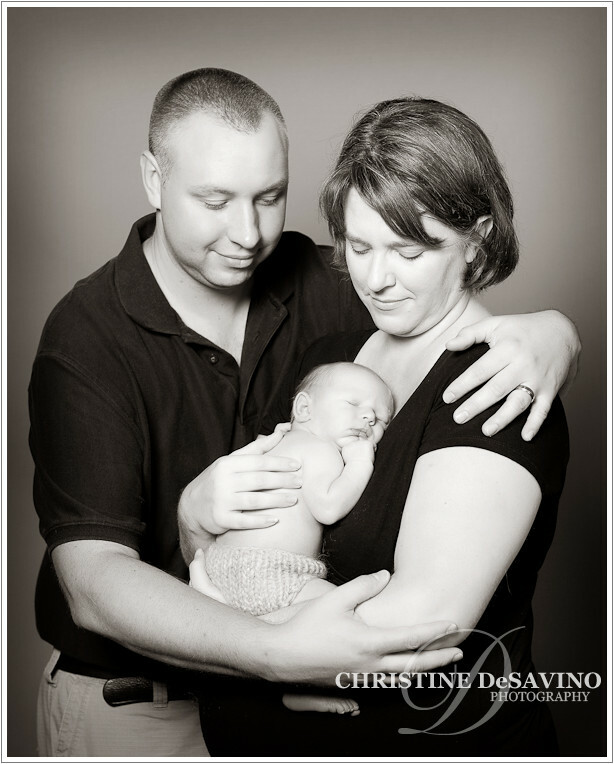 Of course, I was happy during the shoot, but I would never have imagined a one week old would sleep serenely to the crooning of some classic Rod Stewart. Shows you what I know. 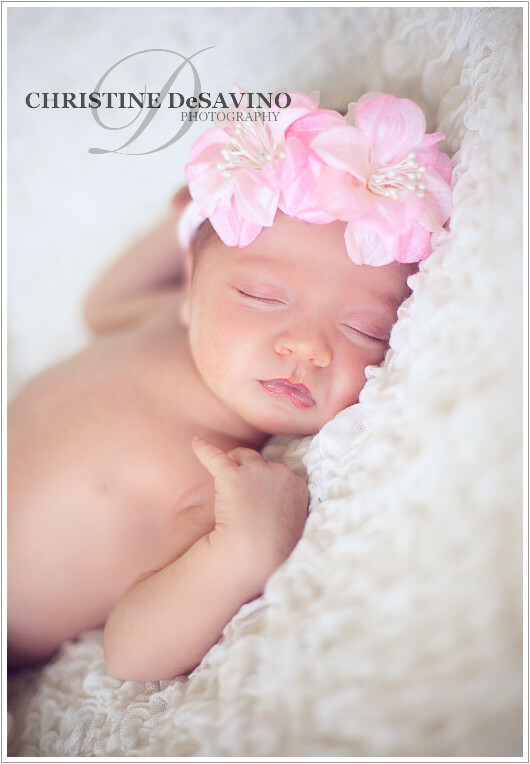 I love her little angel face…I think some new sample canvases featuring this little beauty will be ordered soon – for me! This little baby girl slept like a champ. 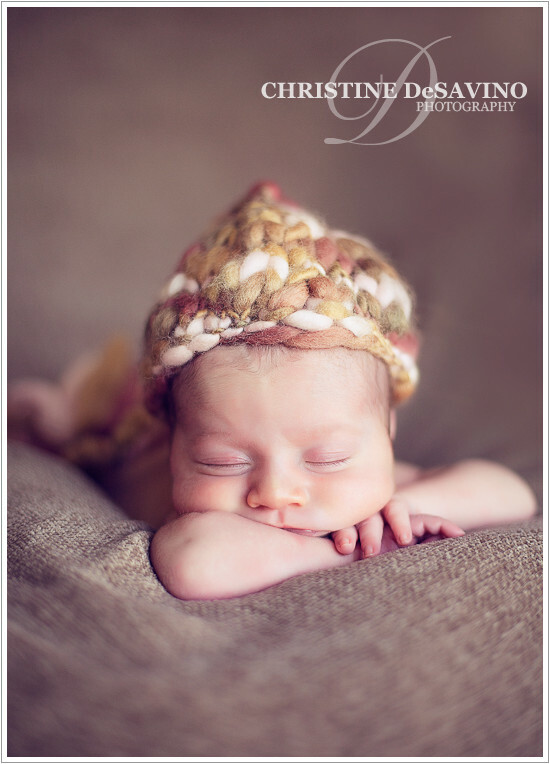 She was just a week old and seemed to comfortably curl up into all the different positions we tried…and look how peaceful she looks. We even got to have some fun with “the hammock” shot – which is always great when it turns out, but trust me, they have to be in a pretty good slumber for that one! With her delicate features and beautiful coloring, she is such a precious baby. Oh and I just love her lip in the last one…sigh! I’ve been remiss in my blogging, but I thought I’d start things back up with a bang…and a smash…a cake smash, that is. Happy birthday to you little man…you are adorable beyond words! 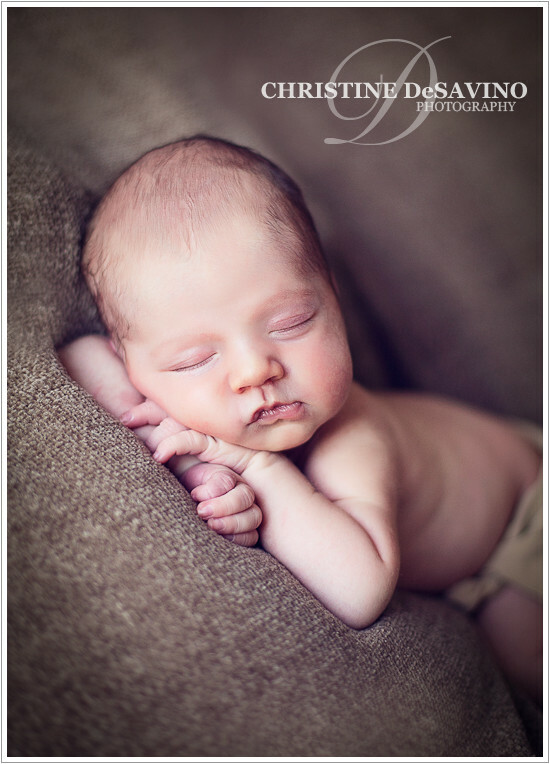 Only 6 days young for his photo session, this beautiful boy was so comfortable being held by his father that we decided to capture the moment. I love this first one… The beautiful knit with the heart shaped button is by Mamique and if anyone’s in the market for some gorgeous newborn wear, then go straight to their blog after this! And look at these beautiful brown eyes and winning smile…big brother was on the move, but we managed to capture some treasures!